As a defender, we are not allowed to speak to one’s partner during the defence. You can communicate by the play of the cards but that is all. We call it signalling. 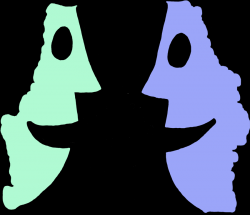 It takes two “to tango” and two to signal as well, as there is the player making the signal and their partner who is to interpret the message. What, therefore, is going on when partner produces a couple of seemingly unnecessary 10’s during the defence of the following board? The opposition’s bidding has silenced you, especially when you heard that North’s 1 opening promised at least a 4-card suit. Your choice of opening leads seemed particularly unappealing with partner having little more than 13 cards and virtually nothing in the way of honours. One they might hold was the J. So, you start off with the Q. Your style of signalling is “low encourage” with trick 1 producing the K from dummy, 10 from your partner and 7 from the declarer. Declarer calls for dummy’s 9 on which your partner plays 10 and declarer the J. You win and see nothing better to do than lay down the A. Since you hold J, declarer would have no guess if you led a low spade hoping the Q was in your partner’s hand. Furthermore, if declarer held AJ and no Q, they might have tried discarding a spade on the third round of diamonds. On the A, your partner played their third 10 in three tricks (who said they did not have any honours! ), 10. What now for trick 4? There are many ways of signalling. It is a great idea if you and your partner use the same approach! Surely, East had a choice of diamond and spade cards to make? Why play the 10 each time? The 10 might have been played out of necessity. There is an argument that says when a dangerous side- suit appears on the table, that your signal should be a suit preference signal. Others prefer to stick to giving count. The 10 at trick 1 could have been simply showing the top of a sequence: assuming probably that their partner had led from QJ. If East wanted a club switch, then the card to play may have been 2 (lower of the other two suits) or else maybe a high diamond asking for a switch. If you believe a high diamond asked for a switch, then 9 might have been a better, less confusing card, as it seemed to deny 10, taking away the possibility that East was showing a long run of diamonds. There are thus many ways to interpret that trick 1 10. The 10 was a much clearer signal. The defence were close to being in a cash-out situation as soon discards were going to be available on those clubs, no matter who held A. Of course, East did not know that West held that card. If they did, they would love to see it played while they still had a trump. Unfortunately, the defenders were on different wavelengths with the contract making as East did not get their ruff. A weak hand usually has very little to signal for. If it does, then a ruff is very likely the reason. South could have made the contract after any initial lead except A by playing ace and another trump though there seemed no immediate danger of a ruff to South and a first-round trump finesse was reasonable. The above shows there are many ways you can legitimately signal to your partner. How would you as West have interpreted those two 10’s at tricks 1 and 3? Would you as East have been able to get the message to your partner that you needed an urgent ruff? Maybe West should have tried A and a second club anyway as there seemed no other realistic chance of beating the game. That does not negate having an agreed signalling method for when one player may not find the winning defence without a bit of guidance. "Talk to your partner", legally.